Not guilty. Quilty. 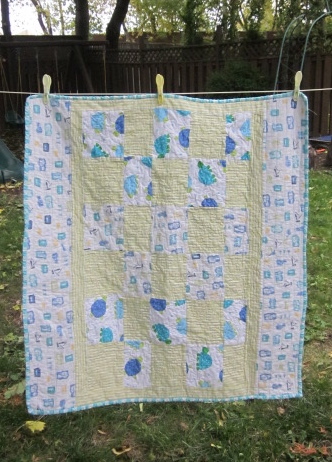 And I’ve had the pieces for this quilt all cut and ironed for months now… so I pieced, quilted, and bound it in three days (roughly 3 hours of work a day.) The top is pieced from flannel and a jersey knit (I had to stabilize the knit with interfacing before piecing with it) and the back is turquoise minky. 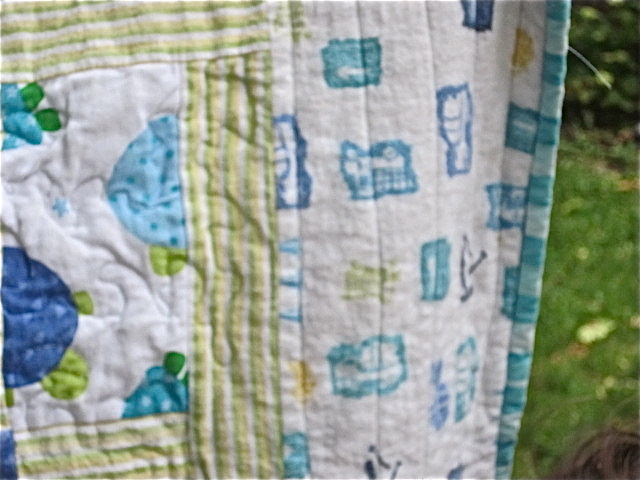 The quilting itself was an exercise in frustration. It must be nice to have a sewing machine with a longer arm than the one on mine – I have to work with such a small frame to quilt that I spend most of my time repositioning and securing the frame. It was worth it, though, as I find stippling (the pattern of quilting I used on the main part of the quilt) very satisfying to do. 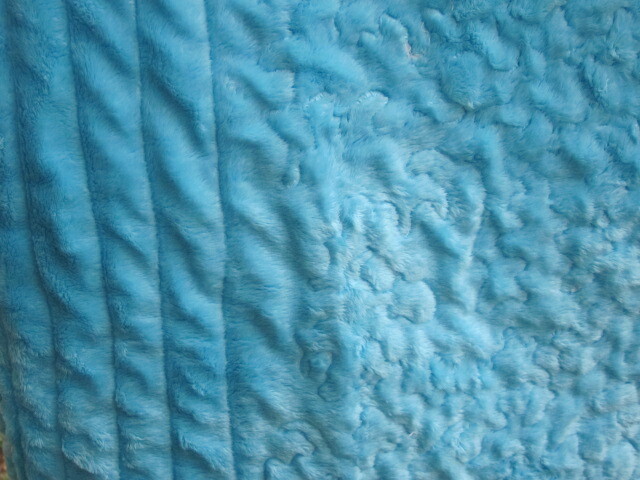 I quilted the side strips with freehand lines, which I rather liked. 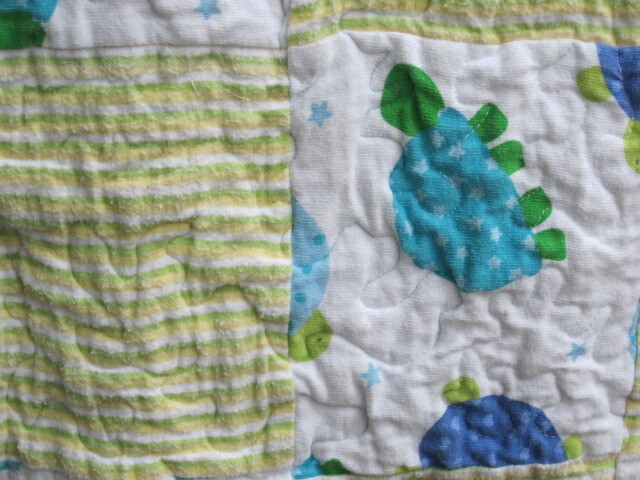 I’ll have to do some line quilting on something one of these days. Well, that’s one unfinished project down, 53,000,000 to go. Up next… an improvisational I-spy quilt with my polaroid blocks. Mmm… minky! I love this. Who’s it for?